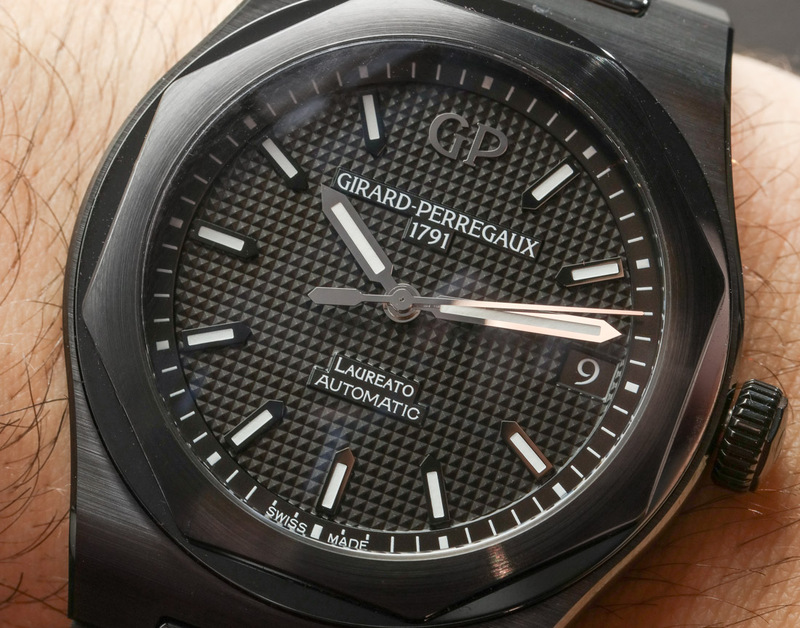 Whether it’s fair or not, the Girard-Perregaux Laureato is one of several luxury sports watches that will be compared to the Audemars Piguet Royal Oak or Patek Philippe Nautilus ad nauseam upon the mere mention of its name. 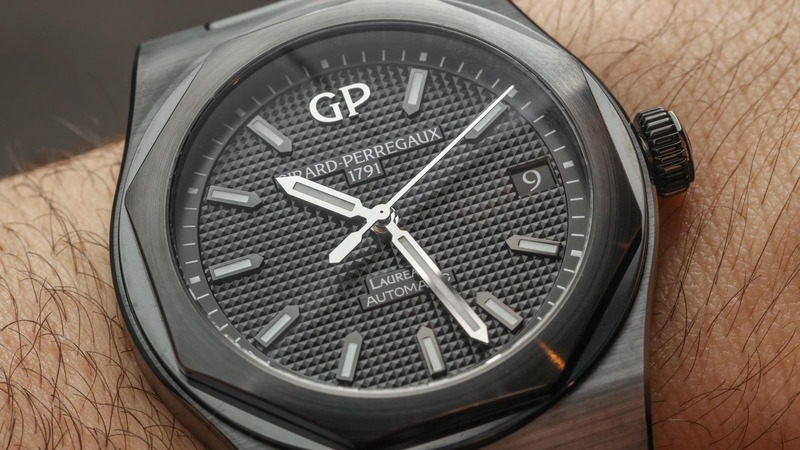 However, when Girard-Perregaux announced a black ceramic version of the Laureato for SIHH 2018, I was heartened at the implementation of the elegantly simple solution to constantly being compared to juggernauts like those aforementioned watches. That solution, of course, is to offer something they don’t. 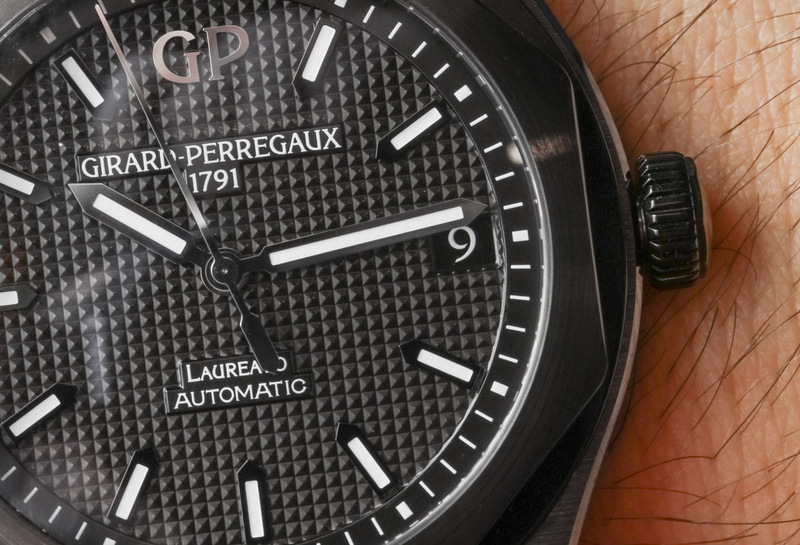 Making a distinctive impression with a steel, two-tone, or gold sports watch in this field is tough. Really tough. 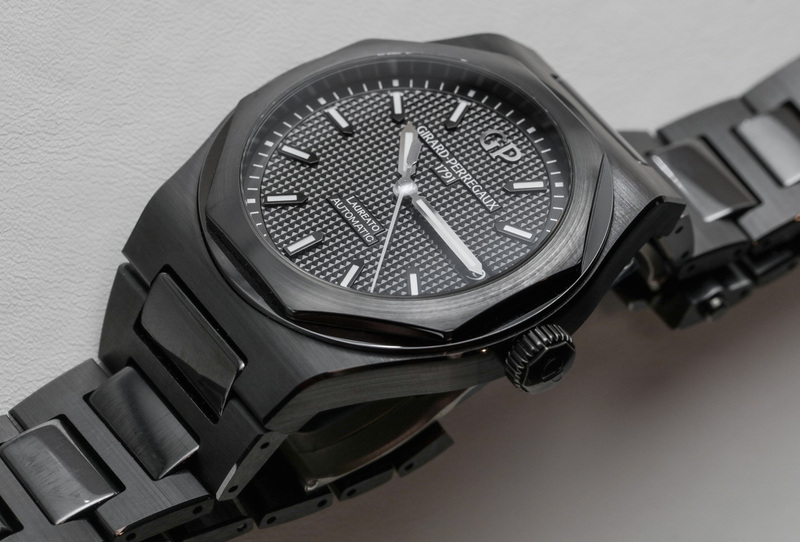 With the exception of the Audemars Piguet Royal Oak Perpetual Calendar black ceramic watch, there are really no ceramic options from the usual suspects in this space. So, how does it fare in person? It may come off a little pedantic, but it really is important to keep in mind how ceramic feels when you hold and wear it. I held the ceramic Laureato model in one hand and a steel Laureato model in the other and there was just no cognitive dissonance about the ceramic feeling vastly superior in all regards. 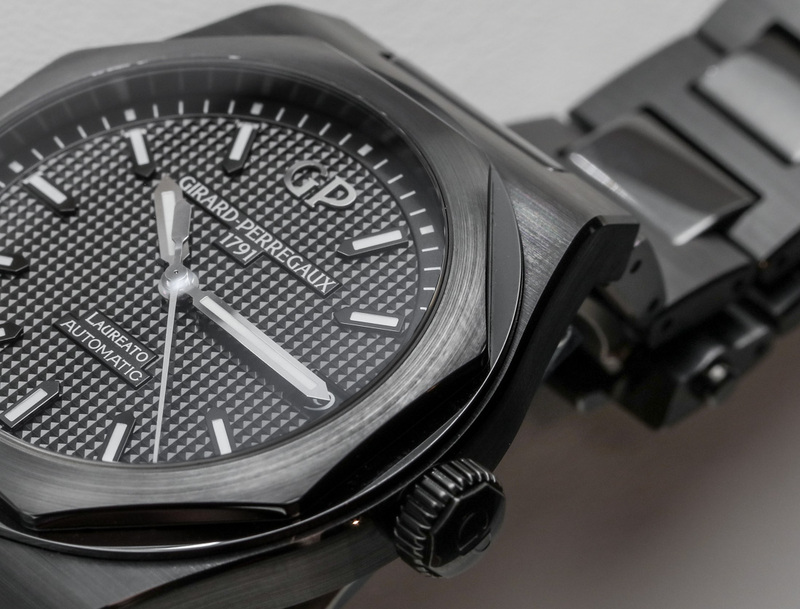 And as far as the use of a black ceramic, I’m not saying this because I love black, but there is obviously a world of difference between a black ceramic watch and one that is in steel and has black DLC. 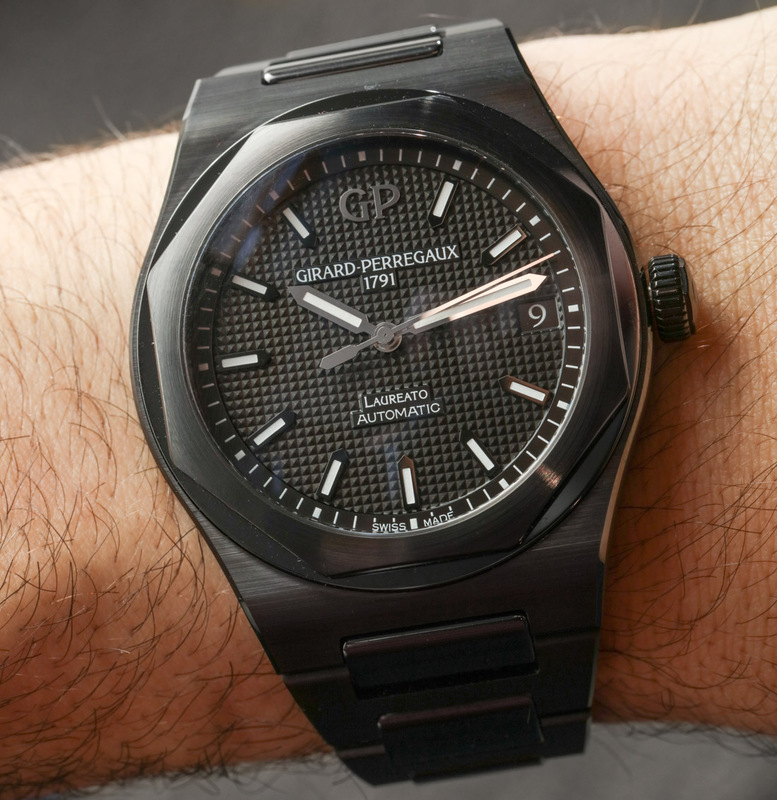 The scratch-proof (though admittedly vulnerable to, well, shattering under the worst case scenario) and lightweight ceramic case and bracelet of the Laureato actually offer something that no other competitor really does right now and the execution by Girard-Perregaux deserves high praise. Measuring 42mm wide and 11.13mm thick, I found these to be ideal measurements in a watch I’d wear with a 7.5 inch wrist. That being said, there is also a 38mm wide model that I have absolutely no interest in wearing. But it’s always good to have a smaller option of course. 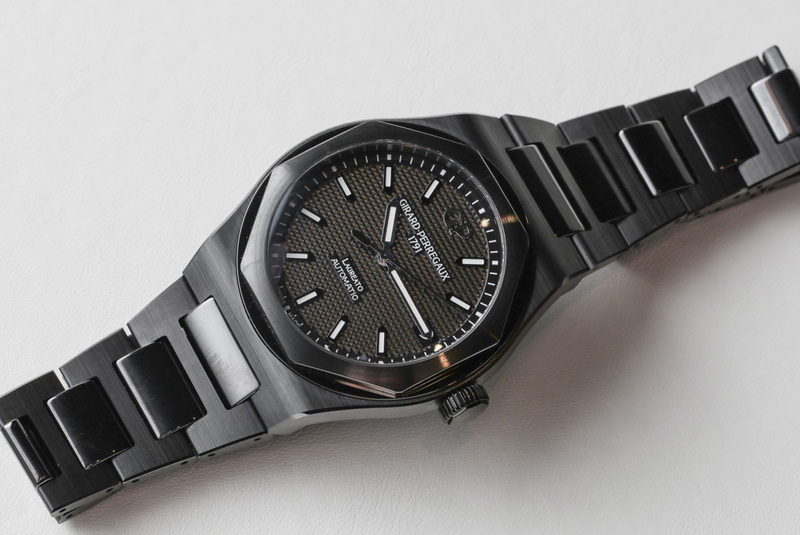 The first thing one notices about the Laureato is obviously the octagonal bezel framing the dial and a major hesitation of mine was regarding the interplay of the octagonal bezel with the ring below it connecting to the case. 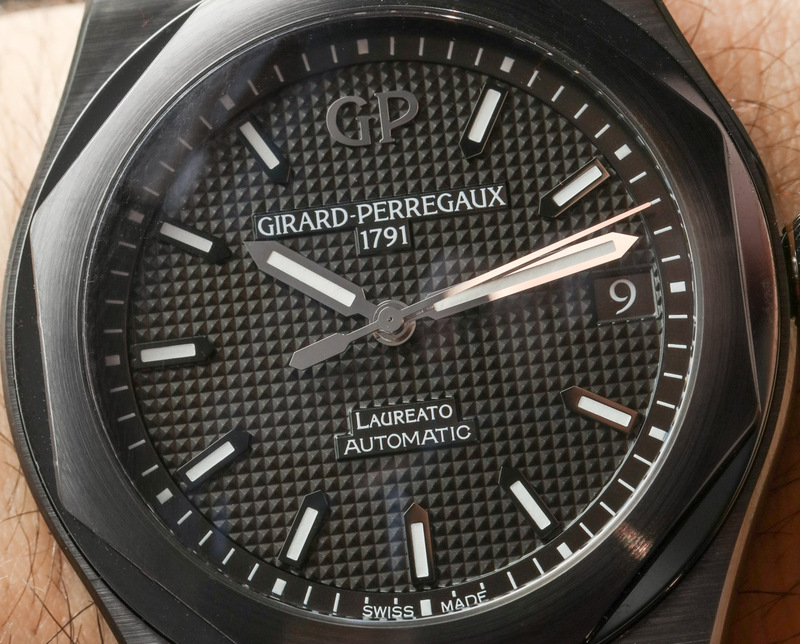 Fortunately, the contrast of the brushed octagonal bezel against the smooth ring provides enough textural variation. Otherwise, the black on black would run the risk of just falling flat and looking lazy. 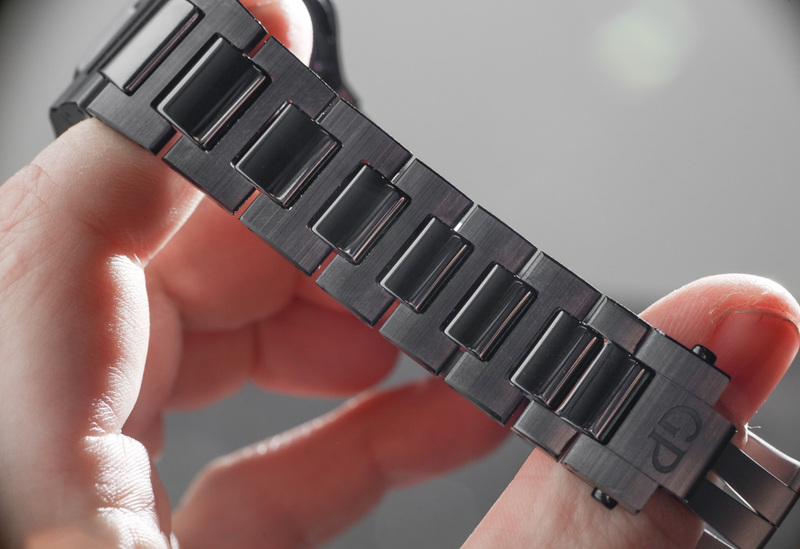 The rest of the case and bracelet is also brushed, with the center links being polished (just like on the steel and gold models). 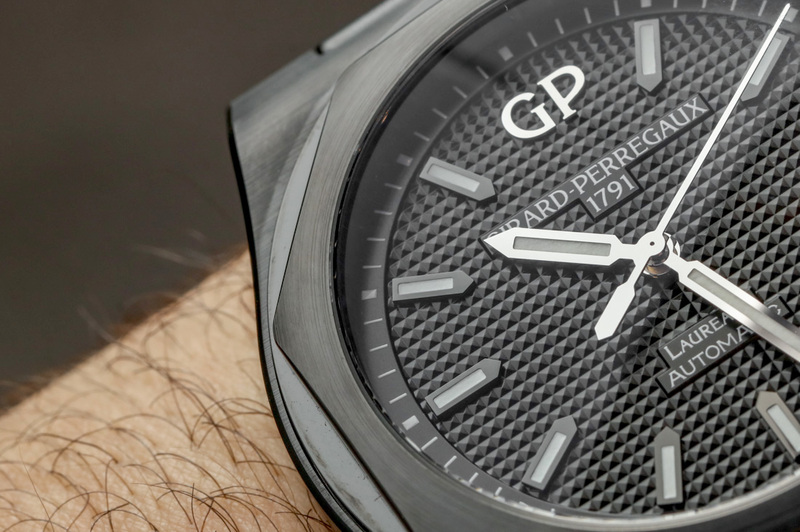 The watch is almost all black with the exception of the hands, indices, and text on the dial but Girard-Perregaux’s existing Laureato design fortunately provides enough visual brio to have character and personality. 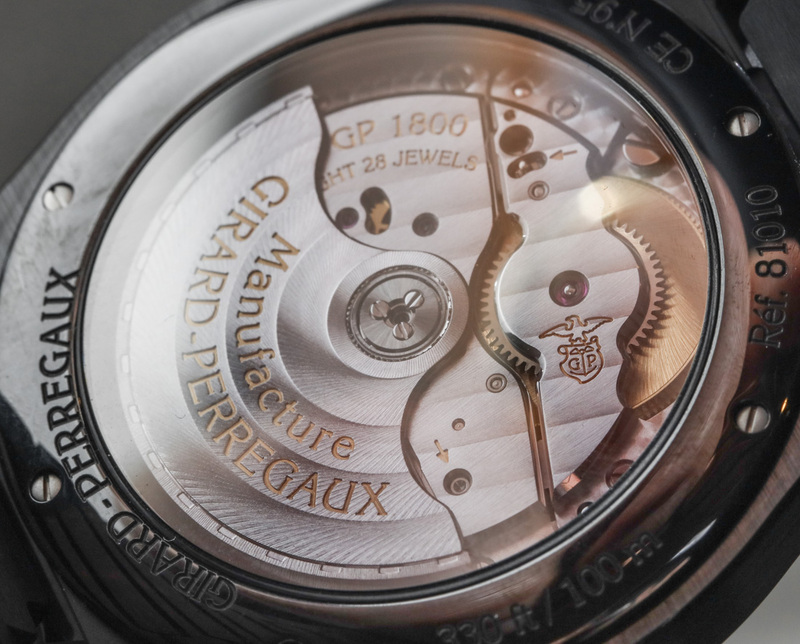 The Clou de Paris hobnail pattern on the dial looks fantastic in person, just as it does in photos. 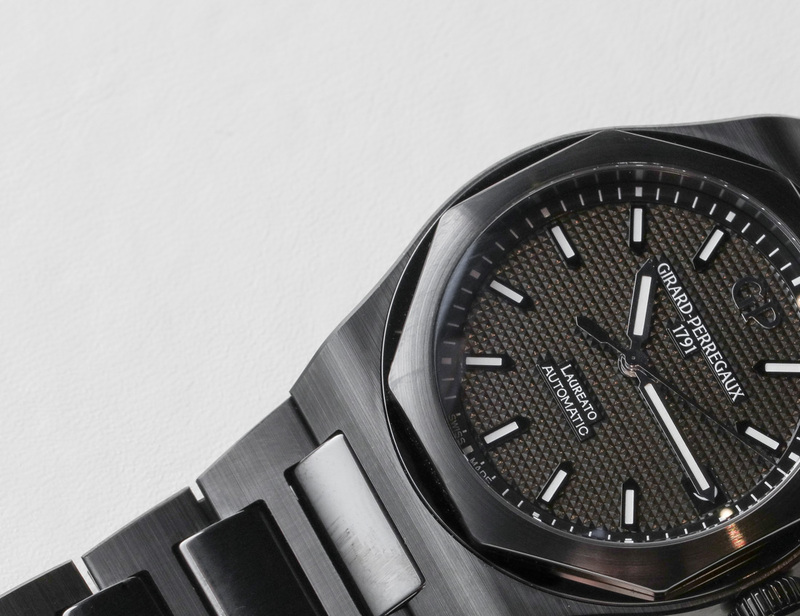 What’s interesting here is that the text on the dial is the most legible of any Laureato and what I learned to appreciate for the first time really is the font of the text. It’s a small thing but the font used on the dial text and date window numerals is simply aesthetically perfect to me when looking at the dial cohesively. 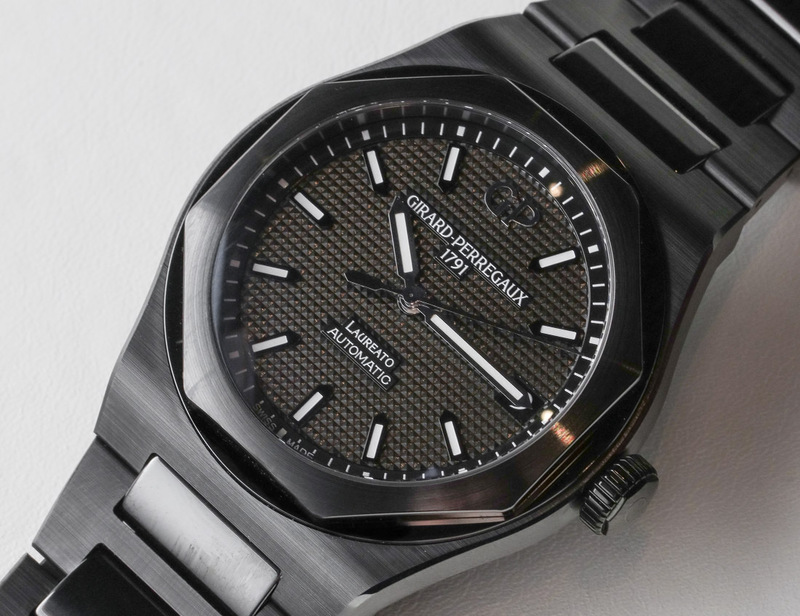 Turning the watch over reveals the exhibition caseback, which is identical to that of the other 42mm Laureato watches, showing off the automatic in-house GP 1800 movement. 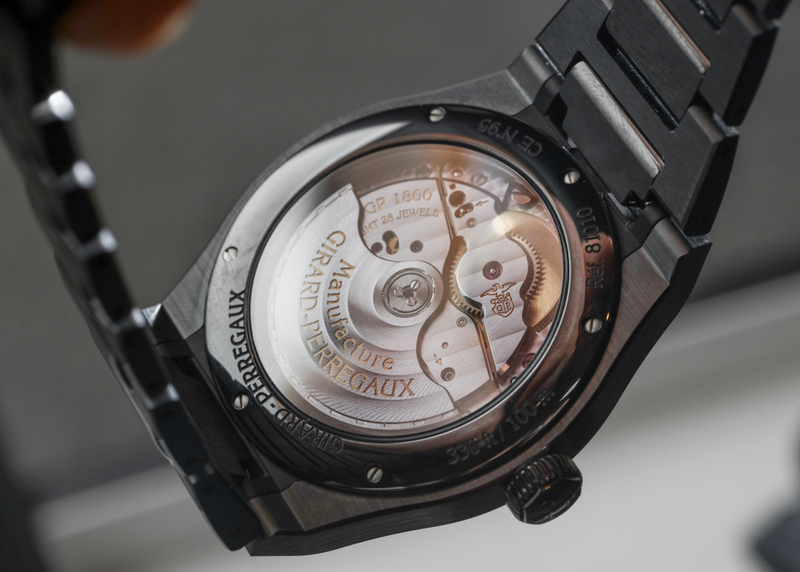 The movement measures 29.90mm wide and 4.16mm thick, and operates at 28,800 vph with a 54 hour power reserve. 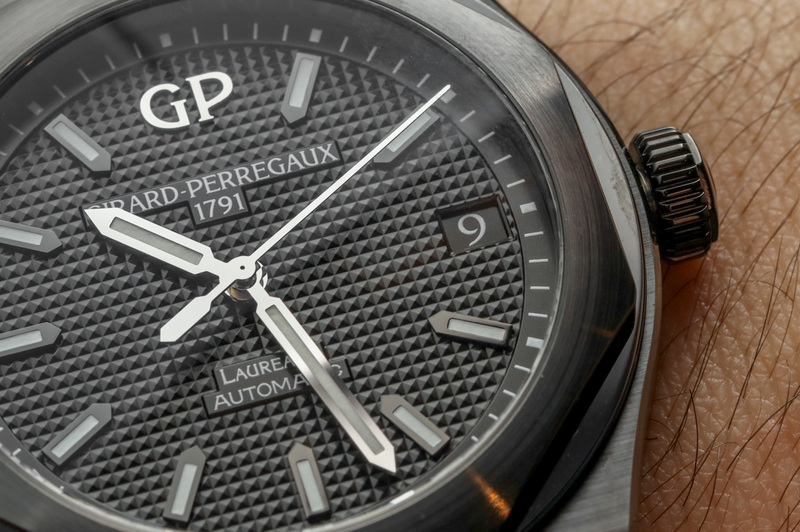 I find the “Manufacture Girard Perregaux” text on the rotor to be obnoxiously large to the point that it’s what I’d expect from a knockoff that never wants you to forget the brand name. I do wish there was some extra flair on the movement to match the black ceramic package, though. 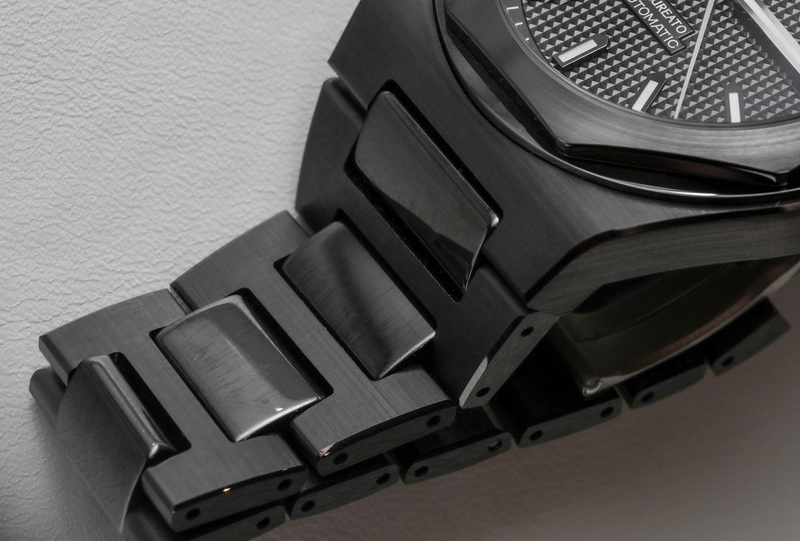 Maybe some black rhodium treatment to have it mesh with the overall attitude of the piece?